Second Week - 2initineres Webseite! Saturday was our day of rest after 6 days of work. We needed this day for recovering from the unusual long lasting exercise. We have been happy to spend this rainy day with shopping in the bike shop and looking at Ingolstadt. Of course we would have preferred a nice sunny day, on the other hand we could avoid our first ride in rain. 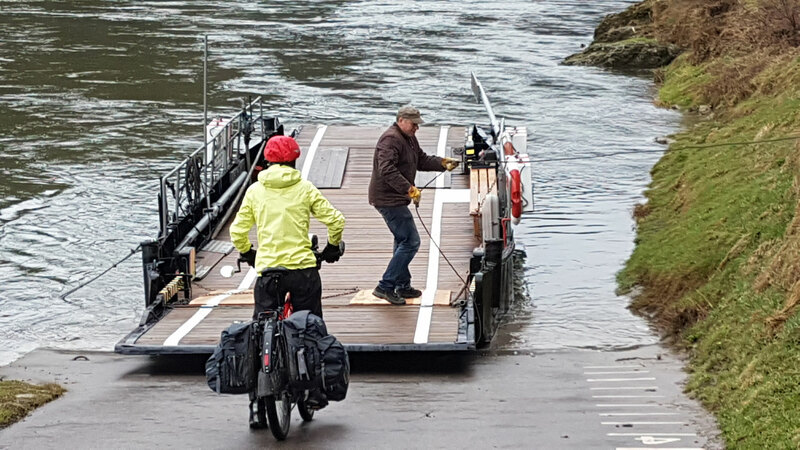 The highlight of the day was the crossing of the Donau with the ferry. 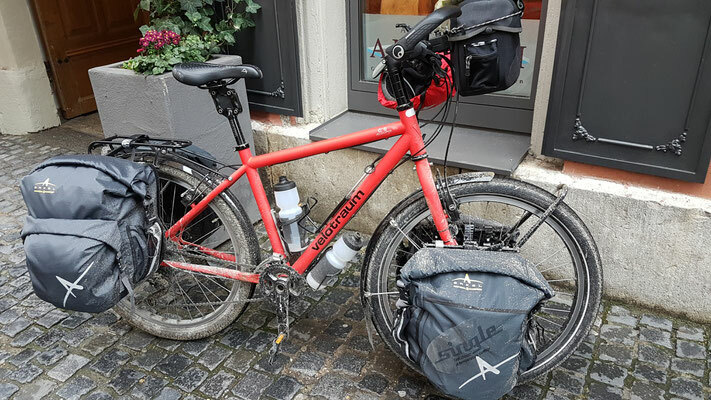 When we arrived in the Hotel in Regensburg our bags were covered with mud. We had to wash them in the backyard of the Hotel, as we didn’t dare going into the Hotel room with such dirty bags. We spent the evening as usual with good food and a glass of wine with the company of some locals.